Users play a big part in keeping their personal and corporate data secured. There is no magic bullet capable of solving any issue -- unless of course, the issue happens to be a werewolf... and in that case your bullet better be made of pure silver and you better be a darn good shot. And when it comes to security issues, don't I wish there was a magic bullet... But even so, as I recently learned in reading the book, "Online Danger," the good news is there are practical things that everyone can do to better protect themselves and the organization they work for. The book is written by Dr. Eric Cole, CEO of Secure Anchor, former CTO of McAfee and Lockheed Martin, member of the Commission on Cyber Security under past President Obama, and security advisor for Bill Gates and his family. Having read an advanced copy of the book (releasing March 2018), I can't help but conclude that yes, the Internet is broken, and yes, it does need fixing. 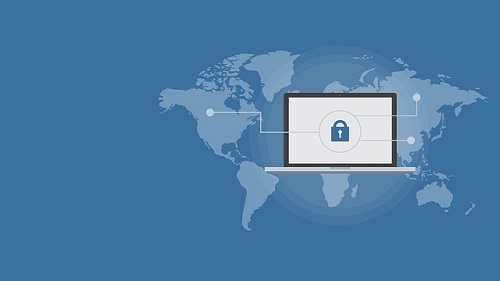 As Cole writes, there is no such thing as totally secure, unless you were to disconnect devices completely from the Internet and avoid Webpages and email... but even then, your personal digital identity can still be at risk. Assume the same for any business's digital identity. Prevention and detection advice is well given in his book; Cole explains the cyber security struggle as a never-ending effort, with offenders continually finding new and creative ways to gain access to digital data. Cole also states that we need "defense in depth" with diversity; that includes antivirus endpoint protection, application white listing, and an active security system to defend against multiple security issues. While his book is aimed at consumers, many of these consumers hold jobs and are responsible for a significant share of data compromises within enterprises. While not intentional, people continue to act without taking adequate precautions when it comes to computing practices and use of the Internet. Cole also advises to patch software and to uninstall unused software; both are advisable actions for those in enterprise IT. He goes on to say to put a padlock on your data: "Use passwords – good, strong passwords." And when you're done with using your computers for the day, "Lock it up and turn it off." From an IT perspective, IT is challenged to deliver "always on and always available" access. Granting access 24x7x365 can result in more constant attacks (in any form) and that makes availability of resources vulnerable unless of course you assume your security posture is 100% capable of defeating any attack or security issue by not allowing it to happen in the first place. Ask anyone in the engineering department and they will tell you that, "Duct tape can't fix stupid." Cybersecurity Ventures predicts that worldwide, cybercrime damages will cost $6 trillion annually by 2021. It seems we are headed down the path that may have a tremendous cost.